The Block Manager is the gripping memoir of Janet, an American-born child of Japanese immigrants. 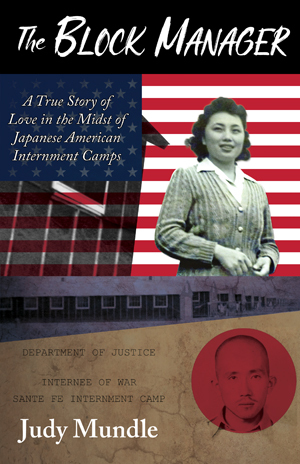 After the attack on Pearl Harbor, Janet’s life in California was uprooted when thousands of Japanese Americans on the West Coast—including Janet’s family—were forced into internment camps. Because of her brilliant command of English and Japanese, she was assigned the job of block manager. Janet was shuffled between three camps, got married, and had a child while the war raged on. 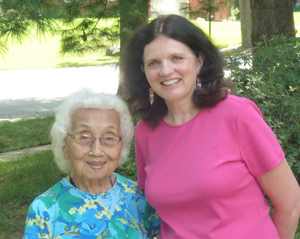 After enduring the psychological strain of forced incarceration, her very survival was threatened when she joined her husband in post-war Japan as famine gripped the country. Janet remained an American patriot through all her ordeals, holding on to the dream of reuniting with her family in the US. The Block Manager beautifully captures the uncertainty surrounding the internment camps and the gaman—patience with dignity—of the detainees. Contact us for multi-book order or bookstore discounts. Pre-Order your copy today! Books will arrive on or around May 7, 2019. Signed copies are available. Binding & Signature Options: "Signed" copies feature the author's autograph; "Personalized" copies can feature a custom name/message of your choice in addition to her signature. Judy Mundle grew up listening to the best storyteller she’s ever known: her grandfather. She’s been carrying on his legacy as a storyteller ever since. Over the years, she’s introduced Janet’s story to many others; she’s brought her to schools, book clubs, and garden clubs to share her enthralling history. In order to honor her friend, Judy has taken her storytelling to pen and paper to memorialize Janet’s life in The Block Manager. When she’s not telling stories, Judy is a certified public accountant. She graduated from Indiana University in 1977 with a BS in business administration and a concentration in accounting. She began her career as an auditor working in Chicago, followed by St. Louis and London. For the last thirty years, she has been a CFO for several small businesses and taught numerous accounting classes at local colleges. Judy and her husband, Craig, live in St. Louis and have three children and one granddaughter. She has volunteered extensively with local committees, her church, her children’s schools, the Scouts, and local charities.